Mr. Gifford's law practice is limited to the areas of estate planning, wills, trusts and probate, senior law, real property law, and business law. He has been in private practice in Cottage Grove, Oregon since 1987, and is a member of the Oregon State Bar, the Lane County Bar Association, and the J. Reuben Clark Law Society. Mr. Gifford received his juris doctor degree from the University of Oregon School of Law, and his bachelor of science degree from Arizona State University. Mr. Gifford is a native of the Northwest and has lived in the Cottage Grove area for more than 37 years. He serves in the community as member and past president of the Cottage Grove Lions Club, former board member of South Lane School District, and former board member of Cottage Grove Chamber of Commerce. He was president of the "Build It" P.A.C., which passed the bond to build the Cottage Grove High School now located on South River Road in Cottage Grove. He also served as president of South Lane Wheels and a former board member for 20 years. He has been a volunteer judge for the Cottage Grove Youth Peer Court, and a volunteer Scoutmaster of Troop 132 for the Boy Scouts of America. 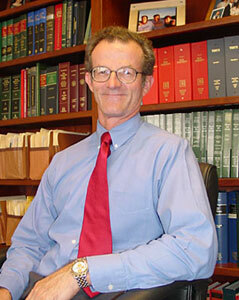 Prior to becoming an attorney, Mr. Gifford was a home builder, logger, private pilot, and sawmill worker. He has been married for more than 44 years, has 7 children, and 20 grandchildren. His hobbies include gardening, mountaineering, water skiing and snow skiing. Ryan Gifford has developed an active practice focusing primarily in the areas of estate planning, family law, wills & trusts, civil commitment, and criminal defense. Known for his friendly manner and empathy, Ryan is dedicated to providing individuals and families with effective and sound legal counsel. 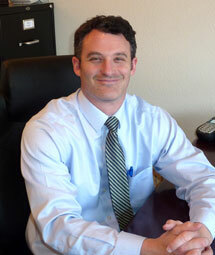 Ryan started his career as a Lane County Circuit Court Judicial Clerk to the Honorable M.K. Merten, and was admitted to the Oregon State Bar in 2007. Prior to that, he received a Juris Doctorate degree from California Western School of Law, San Diego in 2005, and a Bachelor of Arts degree in Literature from Brigham Young University in 1999. For the past several years, Ryan has been an active member of the community, serving as Peer Court Judge, president and member of Lions Club International, Cottage Grove Area Chamber of Commerce board member, Cottage Grove Aqua Lions board member, advisory board member for the Boys and Girls Club of Emerald Valley - Cottage Grove Branch, and various other leadership capacities within the community. A native to Cottage Grove, Ryan has a passion for the remarkable recreational activities of Pacific Northwest, including kayaking, river rafting, water skiing, surfing, hiking, cycling, and camping. After living away in New York, Connecticut, Utah, Idaho, and California for more than thirteen years, he decided to settle back down in Oregon with his wife and four children, where he has made his home since July 2005.